Richard Angelo was a nurse at Good Samaritan Hospital on Long Island in New York. His goal in life was to be seen as a hero. He would intentionally harm patients, then he would rescue them. For example, he would inject some patients with lethal injections and when the patient was at the brink of death, he would save them and prove to everyone his heroism. But, there were multiple times when the patients did not survive or come unscathed by Angelo's attacks. The case was held at the Suffolk County Court. 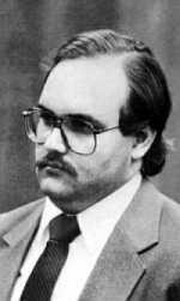 The case involved Richard Angelo and seven of his many victims. Two psychologists would argue that the defendant suffered from dissociative identity disorder. Angelo would ultimately lose the case. The jury concluded after 7.5 days that Angelo only assaulted one of three victims he was accused of assaulting. The prosecution and defense both viewed the conviction as a compromise. Angelo was found guilty of 3 counts of second degree assault, 2 counts of second degree murder, 2 counts of first degree assault, 1 count of second degree manslaughter, and 1 count of criminally negligent homicide. Angelo was not found guilty on one count of second degree assault and three other counts of assault. He was sentenced to 61 years to life. Most recently, Angelo was incarcerated at the Clinton Correctional Facility in Dannemora, New York.